Russia’s entry into the Syrian conflict to fight real terrorists is as much a side-show as it is a pivotal power play and game changer for Putin in the Middle East [ME]. We continue to report on this for diametrically opposed reasons. It puts a glaring focus on Obama’s political inabilities, similar to watching a satirical comedy sketch, while at the same time, there is the potential for WWIII, mostly due to the instability of US policies. This is a tragicomedy unfolding before us on the world’s stage. Putin is playing his cards exceptionally well, while Obama plays a Joker’s hand. From being a dominating factor in the ME for decades, Obama and his team of neocon misfits have turned tail, slinking away from what power it once exercised. If events continue as Putin has been directing, even Saudi Arabia and Qatar will suffer financially, much more than imagined even from as little as a year ago. Coat-tailing off of Russia’s new-found force, Iran has been a background player throughout the Syrian civil war, [started at the behest of Obama wanting to oust Syrian President Bashar al-Assad, to be replaced by a Western-selected puppet.] Since the Russian air attacks, Iran now openly sends its troops to fight along with Syrian forces and those of Hezbollah. There are implications that a Russian-Iranian axis could challenge the dominance of the Saudis and their control over oil pricing. Russia and Iran would love to see oil back at the $100 mark, and greater control by them can only add pressure to the existing Saudi corner on pricing oil. As if Obama’s decision-making could not get any worse, after openly refusing to join Russia in a coalition to fight the same ISIS the US has been purportedly fighting for the past 14 months, and without success, after consulting with a few of his advisors, Tweedle Dee and Tweedle Dum, he decided to air drop 50 tons of ammunition into middle of the terrorist fighting with the “hopes” that the ammunition will be found by the good terrorists and [unsaid, used to fight and defeat Assad]. Turkey becomes another bit of US collateral damage-by-betrayal. There are plans for Russian air attacks on an ISIS stronghold near Allepo, near the Turkish border. If there is anyone Turkish President Rycep Tyyip Erdogan [and the Turks] hate more than Assad, it is the Kurds, located all along Turkey’s southern border. fighting forces [Kurds]. Erdogan is up for re-election in a few weeks, and this will not help him. He allowed the US to use Turkey’s Interlik air base in return for giving him air support in bombing the Kurds, and he does not like this “payback” by Obama one bit. The Kurdish forces hate ISIS and have been indirectly helping Syrian forces. The Kurds see Russia’s intervention as favorable for YPG forces. Turkey wants to destroy all the Kurds. We have the situation where the US and Turkey are preventing the anti-ISIS YPG from fighting against ISIS. Europeans see this and smell a rat in US policy. Any degree of Russian-Iranian success fighting ISIS near Allepo will lead to an attack on the ISIS capital, Raqqa. Once Raqqa fails, it is good-bye ISIS and hello to an almost assured restoration of Assad. It also adds to Kurdish strength and influence in that area, and Turkey will feel even more betrayed by the US. These interlocking pieces of the Syrian puzzle all come together in a way opposite to [unwanted] US intervention, backfiring in a manner that could not have occurred had it been planned any better. Question for Mr Obama: Why do you prevent the Kurds from fighting ISIS terrorists? Response: It depends on what the definition of ISIS is. Question for Mr Obama: Why would you drop 50 tons of ammunition into the middle of a war zone, and at the same time, try to enforce gun control on US citizens? Response: I want to stop the senseless killing in the US. All of this is going on because the Saudis, Qatar, and the US want a gas pipeline from Qatar through Syria to ship to Europe and reduce demand for Russian supplied gas. Assad opposes this, and so by Obama’s reckoning, Assad must go. By opposing the US and in calling the US bluff, Putin gains international respect at the expense of a lying US administration. This also strengthens Iran’s influence over Assad and Syria, plus Iraq. At the same time, it puts the Saudis and Qatar into a compromised position. The remaining question is, will the Saudis, Qatar, and the US quietly stand by while Russia takes control over the ME, or once backed into a corner, will those three come out fighting, potentially leading to WWIII? This is not yet over. Ironically, we see Obama as a positive influence on gold and silver, for none of this will end well as the increasingly internationally shunned US tries to make the changes it wants to see, when such misdirected efforts backfire and only add fuel to the fire. Gold has had stronger rallies, such as starting from the end of June 2013, to keep a perspective on current market activity and not get overly swayed that a final bottom is in place. What bears closer scrutiny now will be the character of any reactions. If the sell off bars are relatively smaller and on less volume, that would be more positive than bars that are wider and greater in volume. The latter would indicate sellers are still in control. The current rally is the second strong rally since the August low. There still needs to be more positive market activity as just described in the weekly comment. A correction that holds the 1135 area will add to the recent bullish development. Forming a higher low that leads to another higher high, above 1192, will strengthen the scenario for gold. Last week’s small range is inescapably a caution sign for a correction to follow. The bar two weeks ago represents a breakout above the narrow TR from late June to October. Now, how well that potential breakout holds will be important to augur higher prices. The chart comments are apt and support the conclusions drawn from the weekly chart. Gold And Silver – Elite’s NWO Losing Traction. Expect [More] War Gold And Silver – Elites Want War. Front Man Obama Pushing Hard. Gold And Silver – Gold-Backed Currency? Not Any Time Soon, But Be Prepared. 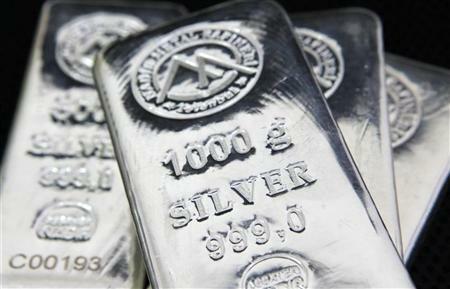 Gold And Silver – Low Prices Are NOT The Reason To Own PMs. Gold And Silver – Probability for A Lower Low Has Increased Gold And Silver – What Moved Price? Bab el-Mandeb And Uranus Square Pluto. What?! ← Gold And Silver – Ufa. Why It Matters But Does Not.